Björt framtíð leggur áherslu á ábyrga ákvarðanatöku byggða á vandaðri áætlanagerð. Auka þarf a framlag til heilbrigðisþjónustu og um leið þarf að nýta betur það fé sem varið er til þjónustunnar nú þegar. Vísbendingar eru um að nýta megi betur fé sem varið er til heilbrigðisþjónustunnar. Með því að gera skýrari samninga um þjónustu sem ríkið kaupir má betur tryggja hagkvæma nýtingu fjár. Auka þarf eftirlit með ákveðnum þáttum þjónustunnar varðandi meðferð fjár og um aðgengi og þörf á þjónustu samanber nýlegar fréttir og orð landlæknis þar um. Björt framtíð leggst eindregið gegn því að heilbrigðisþjónusta sé rekin í gróðaskyni. Björt framtíð leggur áherslu á að haldið verið áfram uppbyggingu Landspítala við Hringbraut og að tryggja aðgengi einstaklinga um land allt að þverfaglegri heilsugæsluþjónustu. Styrkja þarf þjónustu við aldraða og tryggja aðgengi að hjúkrunarrýmum fyrir einstaklinga sem það þurfa en jafnframt að bæta heimaþjónustu til að styðja sjálfstætt líf einstaklinga. Bætt aðgengi að heilsugæslu og heimaþjónustu kemur í veg fyrir að einstaklingar þurfi að leita dýrari úrræða. Sanngjarnt gjald fyrir aðgang að auðlindum landsins þarf að renna í auknum mæli til þjóðarinnar og þar með til að mæta þörf hennar fyrir uppbyggingu heilbrigðisþjónustunnar. Hér er einkum átt við auðlindir sjávar, orku jarðarinnar og náttúruperlur landsins. Bætt skattheimta og eftirlit dregur úr skattaundanskotum sem nema hér á landi verulegum upphæðum sem nýtast munu til uppbyggingar heilbrigðisþjónustunnar. Með því að efla forvarnir t.d. í tengslum við lífsstílssjúkdóma má draga úr kostnaði heilbrigðisþjónustunnar og úr kostnaði einstaklinga t.d. vegna lyfjanotkunar og langvarandi heilsufarsvanda. Hér er mikilvægt að takast á við vanda tengdan t.d. offitu, sykursýki, streitu og álagi. Með forvörnum stoðkerfisvanda má draga úr líkum á minnkaðri starfsgetu til hagsbóta fyrir einstaklingana og samfélagið allt. Stærsti kostnaðarliður heilbrigðisstofnana eru laun starfsfólks. Mikivægt er að tryggja fullnægjandi mannafla þjónustunnar, nýta sérþekkingu hverrar starfstéttar á markvissan hátt, draga úr kostnaði vegna yfirvinnu og standa vörðu um heilsu, starfsgetu og starfsánægju allra starfsmanna. Árangursrík mannauðsstjórnun er mikilvægur liður í hagkvæmum rekstri heilbrigðisþjónustunnar. Björt framtíð leggur áherslu á heildræna nálgun og betri samþættingu heilbrigðisþjónustunnar. Þannig má auka skilvirkni og draga úr sóun. Vísbendingar eru um að víða innan heilbrigðisþjónustunnar séu tækifæri til að einfalda skipulag og hagræða þannig að dregið sé úr sóun bæði einstaklinganna sem njóta þjónustunnar og þeirra sem þjónustuna veita. This entry was posted in Heilbrigðisþjónusta, Heilsugæsla, Landspítali, Starfsumhverfi on October 21, 2016 by Sigrún Gunnarsdóttir. Stjórnun og starfsánægja á Landspítala – Skilaboð frá árinu 2005. Í nóvember árið 2005 var birt doktorsritgerð sem byggði á viðamikilli rannsókn á starfsumhverfi Landspítala. Rannsóknin náði til spurningalistakönnunar með þátttöku 695 hjúkrunarfræðinga og ljósmæðra og til viðbótar voru tekin rýnihópaviðtöl til að kafa nánar ofan í niðurstöður könnunarinnar. Rannsóknarniðurstöðurnar voru bornar saman við niðurstöður sambærilegra rannsókna í fimm löndum, þ.e. Bandaríkjunum, Kanada, Þýskalandi, Skotlandi og Englandi þar sem alls staðar var byggt á sama mælitækinu sem kennt er við ,,Magnet hospital”. Þrátt fyrir að niðurstöður hér á landi væru að mörgu leyti hagstæðar þegar þær voru bornar saman við erlendu niðurstöðurnar komu þar sem mjög greinileg viðvörunarmerki um neikvæða þróun í starfsmannamálum á Landspítala á þeim árum. Miðað við stöðu mála hér á landi, nú tíu árum síðar, er áhugavert að líta til niðurstaðna rannsóknarinnar frá 2005. Þessar niðurstöður voru kynntar starfsfólki og stjórnendum Landspítala á sínum tíma með margsvíslegum hætti. Ritgerðin var gefin út af Rannsóknarstofnun í hjúkrunarfræði vorið 2006 (Sigrún Gunnarsdóttir, 2006) og prentuð í 200 eintökum sem dreift var m.a. til stjórnenda og starfsfólks Landspítala. Auk þess voru niðurstöður kynntar á alls konar kynningum, erindum, fyrirlestrum og með greinaskrifum. Despite the positive results generated for working environment, job satisfaction and burnout there is some evidence of certain weaknesses in the organisation of nursing at LSH. Firstly, increasing demands on and shortage in staff with a consequent increase in nurse workload. Secondly, a widening gap between senior management and staff. Thirdly, low levels of nurse-reported excellent quality of care compared with other countries, notwithstanding the cultural and linguistic reasons for the observed difference. strengths of hospitals. Similarly, it is vital to emphasize the potential for hospital nurse management to devise human resource interventions, and demonstrate that these can be delivered in the practice of successful hospital management. challenges that have been identified in this study. The findings of this study on the importance of adequate staffing levels contributes to the body of evidence on the crucial role of staffing and work demands for nurse job attitudes and nurse retention. It is reasonable to assume that if current trends in cost-containment and lower staffing levels at LSH continue, they could produce negative effects, not only for patient care, but also for nurses and thus their retention and recruitment. If leaders at LSH can secure adequate levels of staffing they can enable nurses to achieve quality care based on human relationships that inevitably take time and emotional space. This goal is vital both for nurse and patient outcomes. In light of this research and previous studies this is a priority action for health care leadership more widely. The use of multiple methods would be a useful step towards developing sophisticated measures. is of equal importance for hospitals in other countries. More evidence must however be assembled on the role of nurse management, in particular at the unit level (Andrews and Dziegielewski, 2005). The need for more research on the influence of support from nurse managers on nurse and patient outcomes is supported by a recent review of the literature (Shirey, 2004). An intervention study might be useful in this matter. recommend that nurse managers and the leadership at LSH acknowledge intrinsic nurse job satisfaction as advantageous in relation to nurse and patient outcomes. This might contribute to the solution to the current problem of nurse recruitment and retention. A further possible approach to investigate this is a qualitative study with the potential to develop a sophisticated measure of intrinsic job satisfaction. Nursing values, age and educational background are important variables for consideration in this regard (see e.g. McNeese-Smith, 2003). nurse-doctor working relationships for nurse job attitudes. The gap between staff and senior management may be a sign of some organisational weaknesses at LSH. 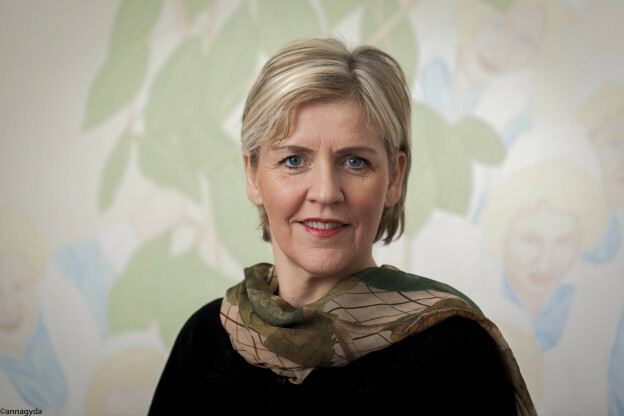 Given this, the hospital would benefit from enhancement of trust within the organisation (Gunnarsdóttir, 2004). According to the levels of social capital in the country this would be an appropriate and appreciated goal, and consistent with local societal norms (Halman et al., 2001). Increased trust between staff and senior management would help to create effective communication channels, strengthen professional collaboration and be favourable for staff and patients (Berwick, 2003). Despite the available literature to the contrary, the influence of senior management on nurse and patient outcomes was not indicated in the present findings. Further investigation of these relationships is needed to help health care leaders organise health care services and human resources in the most productive way. relation is an important research topic. In light of the findings presented here and recent literature there is a need to further develop the NWI-R measure. In particular, to investigate further the validity of the NWI-R instrument and its different sub-scales in measuring the different aspects of nurses’ working environment, e.g. 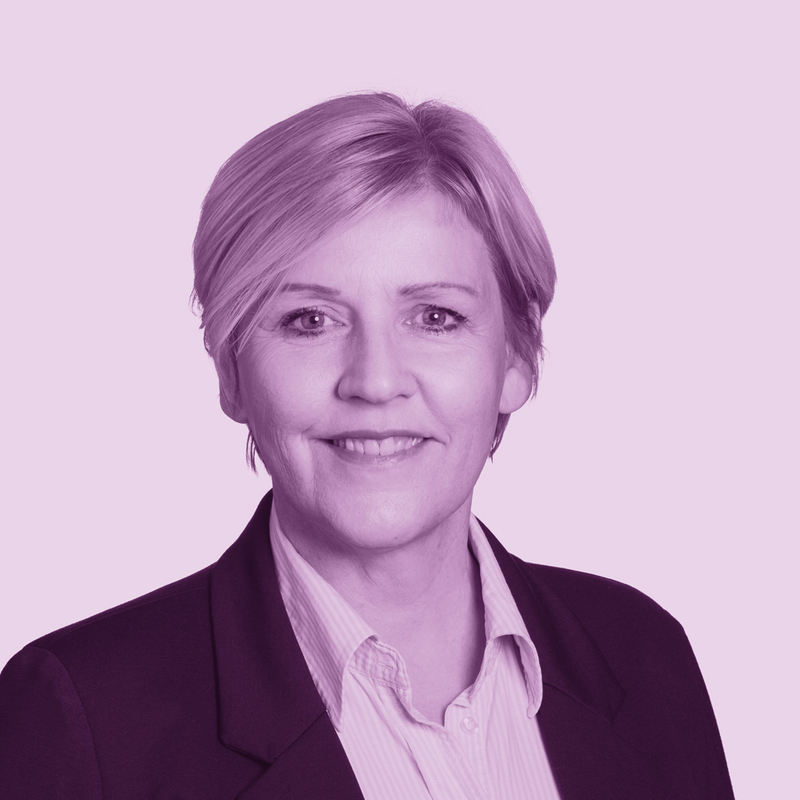 nurse autonomy, nurse and doctor working relationships, staffing, the underlying philosophy of nursing and the role of senior nurse management. the observed relationships between study variables are consistent with theory and other empirical findings, and that there are fundamental differences between LSH findings and those from other countries. access to successful health services. The main conclusion of this thesis is that to ensure high-quality patient care, it is essential to support nurses to gain recognition of their work, to expand their range of responsibilities, and to enjoy healing relationships with patients and empowering collaboration with other health care team members and their superiors. 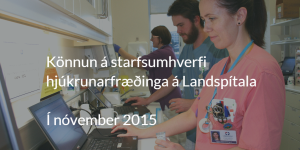 Doktorsritgerð Sigrúnar Gunnarsdóttur um starfsumhverfi Landspítala (pdf). Ritgerðin var varin við London School of Hygiene & Tropical Medicine í nóvember 2005 og gefin út af Rannsóknarstofnun í hjúkrunarfræði árið 2006. 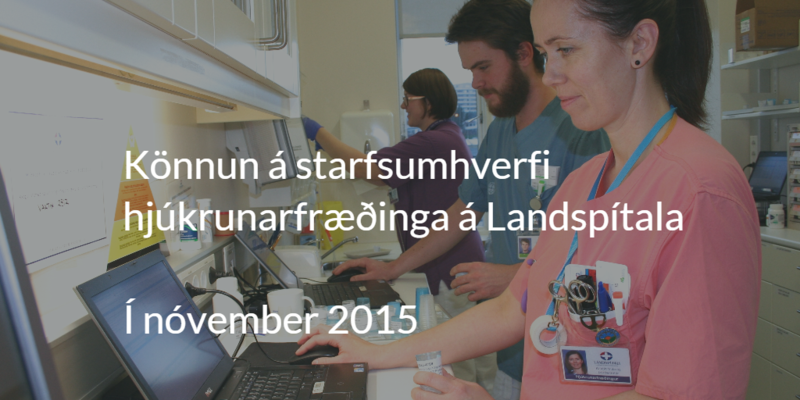 This entry was posted in Landspítali, Starfsumhverfi on July 16, 2015 by Sigrún Gunnarsdóttir.